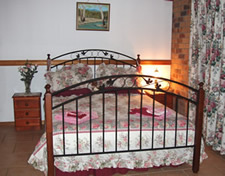 Our three Guest bedrooms each have an identity of their own. They are well appointed and each have access to our wide verandah with fabulous views of the surrounding gardens. The Rose Room & Iris Rooms have Queen Beds, while the Peacock Room has an outstanding Antique Double Bed. 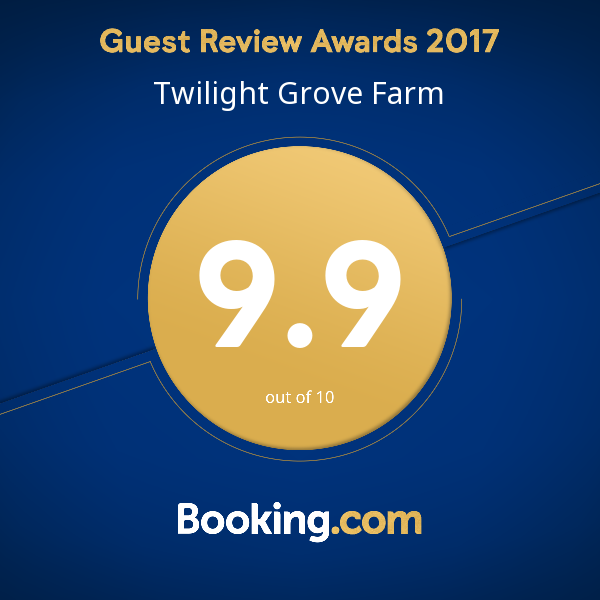 The private bathroom facilities are shared only by guests staying at Twilight Grove Farm. 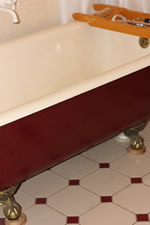 The bathroom has showering facilities above our antique clawfoot bath, a handbasin and towel rails. 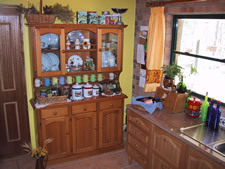 Breakfast Basket or Continental Breakfast is available. Formal Lounge has an open fireplace for long winter evenings spent sipping port and telling stories till the early hours. The large garden is a welcome refuge to all who like to wander by themselves to admire the view and the abundant native wildlife. The is plenty of free car parking spaces near the homestead. Smoking is NOT permitted inside the house. There are dedicated areas for smoking as smoking can cause bush fires. The Family room is for your convenience. We welcome you to sit and read or watch TV whenever you like. We also have a number of DVDs you may like to borrow for the evening. We have a variety of board games - Chinese Checkers, Chess and Solitaire and cards are for your use. A Wireless (WiFi) connection is available upon request. We have a satellite broadband connection. Some phones networks do not recieve a mobile signal. We have washing machines available – A small charge per load is required.